“Oh, you’re going to Macau! Please bet 100 (HK) dollars on black 13 for me”, said a friend. “You must check out the realistic artificial sky at the Venetian”, said another. “There’s a fantastic Dragon of Fortune show at the Wynn”, said a third. My response to them was, respectively – “what?”, “why?”, and “you mean like in Game of Thrones?”. I have played the odd round of poker with friends, but gambling, in general, is of little interest to me. And the gaudy, over-the-top casinos of Macau left me cold. What did warm the cockles of my heart was the food – a curious combination of Portuguese and Chinese influences, giving rise to an interesting East-meets-West crossbreed. Today Macau may be one of the special administrative regions of China, yet for more than 400 years it was under Portuguese control. 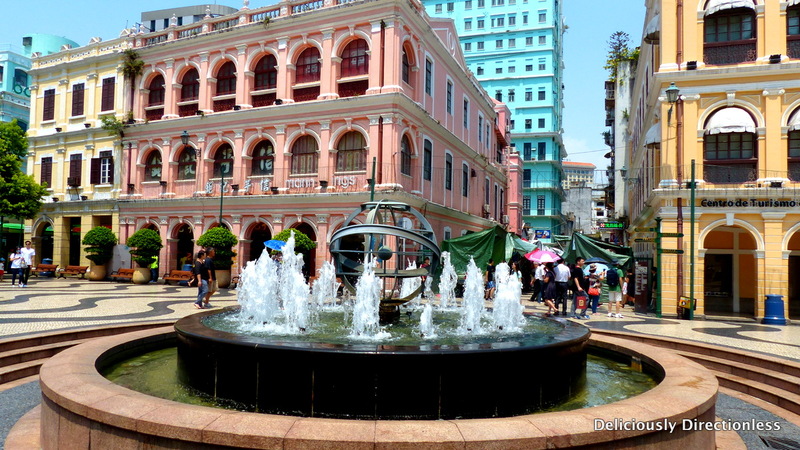 The first Portuguese traders settled here in the mid-16th century, and largely shaped Macau’s cultural identity, till 1999 when China assumed sovereignty over the region. The European influence is apparent, especially in the old parts of Macau, where cobbled streets and colonial buildings in pretty pastels are everywhere. 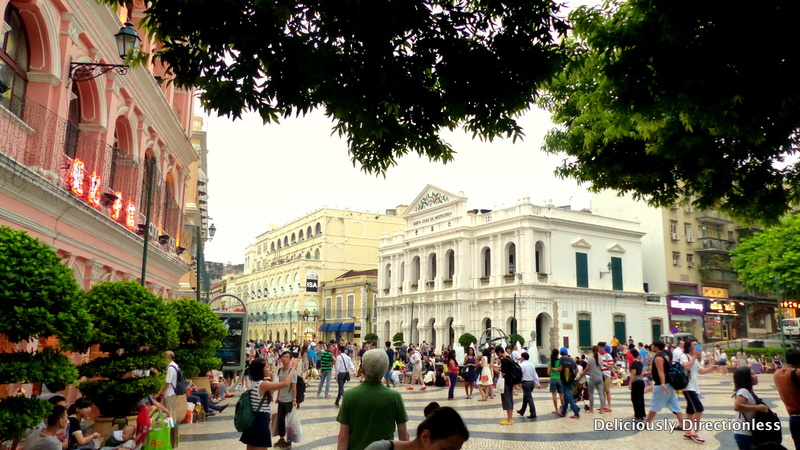 The historic centre of Macau is even listed as a UNESCO World Heritage site. 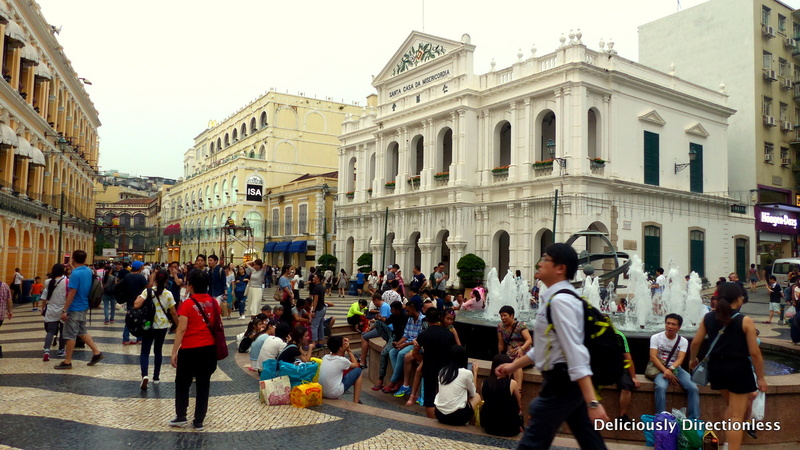 Much like any European piazza, Senado Square (Macau’s paved town square) is the hub of local activity. Tiny alleys branch out from the square in all directions, and it’s here that you will find the places where the locals shop and eat. Ignore the McDonald’s at Senado Square and walk up the alley next to it. Travessa de Sao Domingos is lined with hole-in-the-wall ‘restaurants’, selling Chinese specialties. I am on the quest for the ‘best pork chop bun’ (at least according to my guide). Tai Lei Loi Kei has been around since 1968 and only serves pork chop buns in the afternoon, while stocks last. Pork chop bun is one of Macau’s popular street foods and it’s essentially a seasoned pork chop stuffed inside a bun. At Tai Lei Loi Kei, the chop (on the bone) is so tender and flavourful, that I barely pause between bites. The bun is soft and pliable, with a slightly crunchy crust. I leave Senado Square and make my way up to the Ruins of St Paul’s Cathedral via Rua de Sao Paulo. This street is positively heaving with shops, selling everything from food to clothes, and beyond. A makeshift shop is selling congee, or Chinese rice porridge. Several pots bubble away on the stoves and I watch as two women rapidly cook the porridge, add pieces of pork and meatballs, and serve bowls of it to the long queue of hungry locals. The porridge is piping hot and silky smooth, with meat that is literally melting into the bowl – it’s probably the best porridge I have had. There are rows of shops selling varieties of dried meat – spicy beef and wild boar jerky is on display and attendants are handing out samples to passers-by. At Pastelaria Koi Kei I try several varieties, some slightly sweet, some deliciously spicy, though I like the wild boar jerky best. 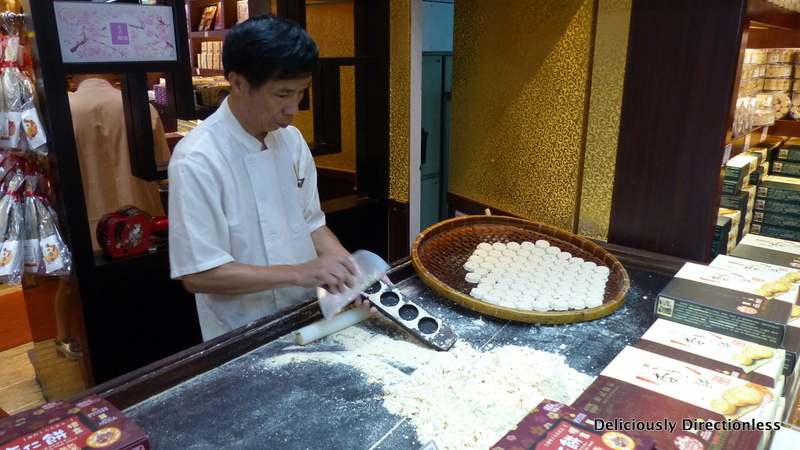 Koi Kei is also known for another typical Macau treat – almond cookies, which are handmade on premises. I watch as a baker expertly mixes the almond powder, almond pieces, lard, and sugar. He then presses the mixture into wooden moulds with a rolling pin. The moulded cookies are transferred to a large bamboo basket, which will then be placed on an open charcoal oven to slow roast the cookies. The almond cookies have a crumbly texture, much like nankathai, and have a lovely nutty flavour. I sample a few cookies and then buy couple of boxes to bring back home for family and friends. Macau’s Portuguese influence is seen in its most famous food – the egg tart. I tried these at various street shops, but the best ones I had were at Lord Stow’s Bakery in Coloane, a fishing village (island) in Macau. Like its Portuguese cousin pastel de nata, the egg tart of Macau has a light, flaky pastry shell, which encases a decadent egg custard, with a slightly caramelised top. I gobble it up greedily! Another Portuguese-inspired dessert I find in Macau is serradura, which translates into sawdust. The name may not be very appealing, but this layered, chilled pudding is quite a treat. Sweet biscuits, cream and condensed milk come together to make this semifreddo-like dessert, topped with a generous sprinkling of finely powdered biscuits (hence, sawdust). Serradura is available at bakeries, gelatinas and restaurants; I tried it at the Portuguese-Macanese Restaurante Litoral. As I wander through the markets in Macau, I’m struck by the vast quantities and varieties of dried seafood that the Macanese seem to eat. Roadside vendors have sacks brimming with dried mackerel, abalone, scallops, oysters, fish maw (air bladder), shark fin and more. I also spot bacalhau, or dried and salted cod fish, which is used extensively in Portuguese cooking. 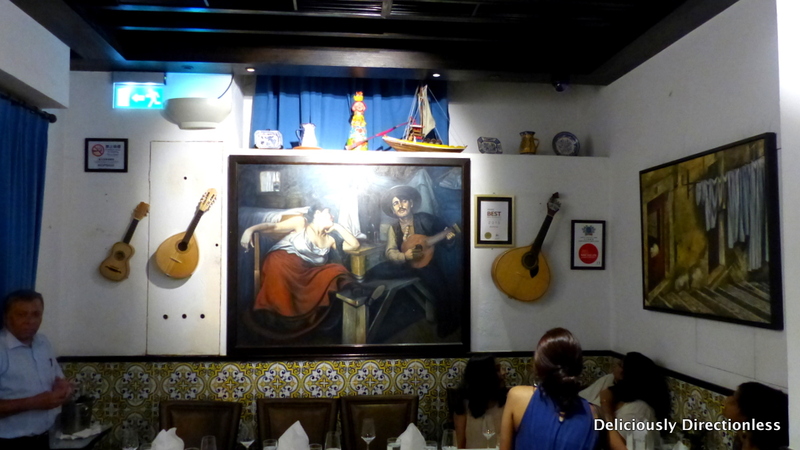 I try a version of this at Antonio, a specialty Portuguese restaurant in Taipa village. Antonio’s Bacalhau no Forno com Cebola e Batata Assada is shredded codfish baked in the oven with a rich, creamy sauce, and served with olives and crunchy onions on top. Add to this the fado tunes played by a guitar-wielding Marcelino (see video below), and you could easily be in some town in Portugal. I returned from Macau without adding to the coffers of the casinos, though I did see the aforementioned fake sky and the dragon show (no, it’s not a patch on Game of Thrones). 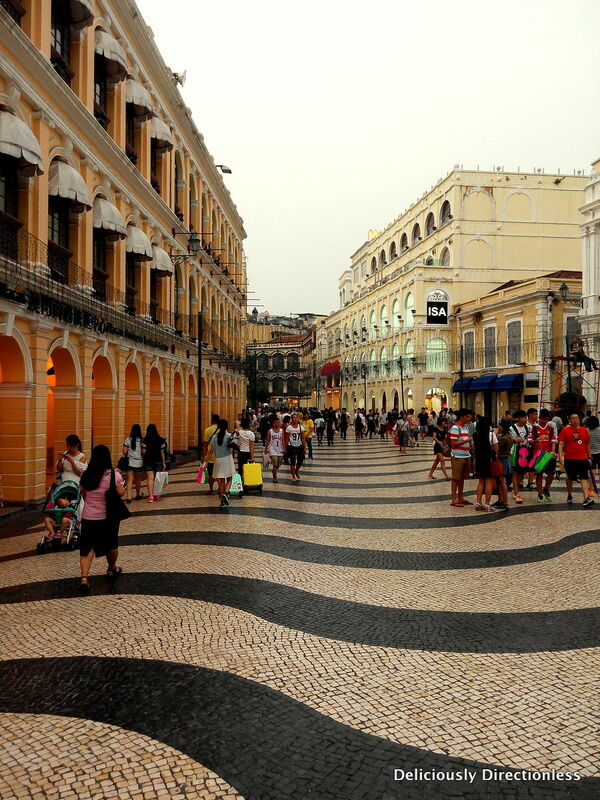 For me, the real taste of Macau is on its streets – and in its warm, oozy egg tarts. 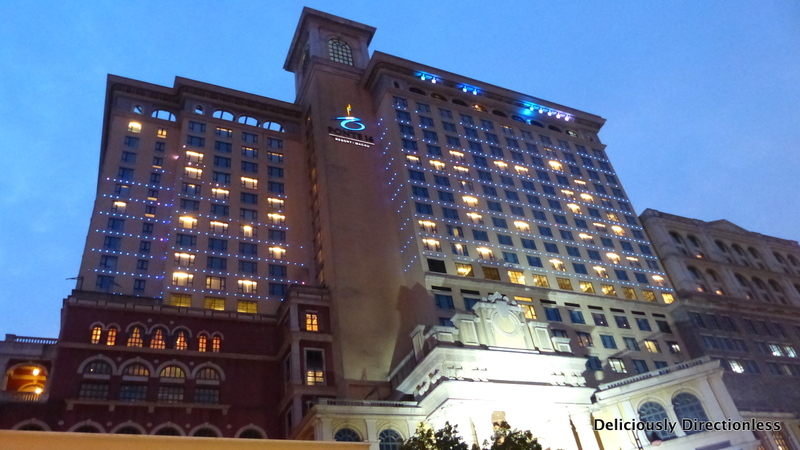 Sofitel Macau at Ponte 16 is a good option to stay at if you want to be close to the city centre and Senado Square. Many of the rooms have a panoramic Pearl River view. This feature was commissioned by The Hindu Business Line’s weekend supplement BLink, and was published in their print edition of May 6, 2016. Read it here. 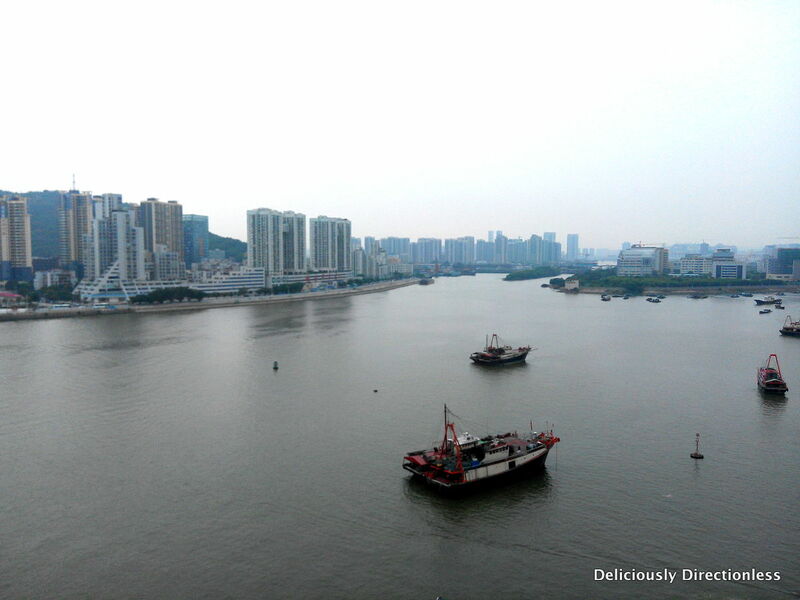 Disclosure – My experience in Macau was made possible by the Macau Government Tourism Office.